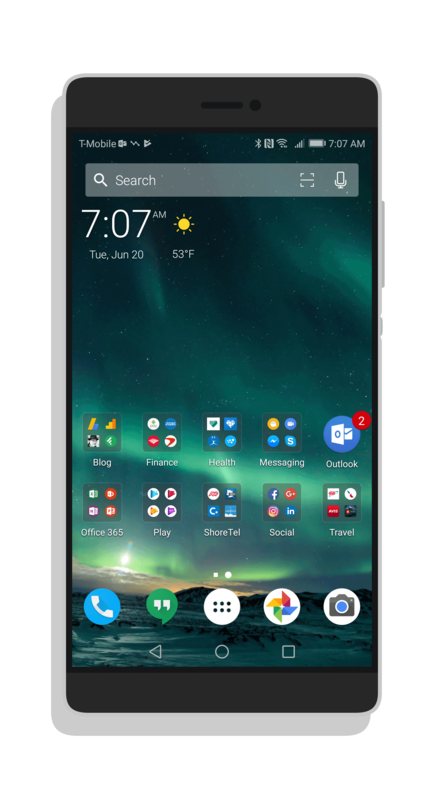 Microsoft’s continual updating of Arrow Launcher, the company’s Android launcher app, has been impressive and for the most part, have been significant updates. That’s no different with the latest update, version 3.6. This update to Microsoft Arrow Launcher brings a handful of refinements and improvements to the launcher. Perhaps the most interesting one for the majority of users is the ability to hid or show the system status bar. The System Status bar is the bar at the top of the display where you see your clock, Wi-Fi indicator, battery indicator and so forth. Arrow Launcher now gives you the option in Settings>General Settings to turn this on or off. This is a great feature if you want to have a more clutter free view of your home screen. the recent page, supports dragging apps from the frequent apps card, and there is the ability to enable checkbox and image auto fit on the Notes card (or page if you decide to make it a separate page. The Utility page in Microsoft Arrow Launcher is one of the best features of the app, allowing you to put any app’s widget on the page along with pre-defined cards from Microsoft. Finally, as you would expect, there are UI adjustments, bug fixes and performance improvements under-the-hood in this update too. Microsoft Arrow Launcher remains one of my favorite launchers for Android phones and tablets. I reviewed it back in March and at the time I pointed out that if you are a heavy Microsoft user (Office 365, Outlook.com, etc), It is one to seriously consider. Arrow Launcher is a free app and available in the Play Store.